A unique development in Southport is set to put on the market in the coming months. The high density residential development has really pushed the boundaries of architectural and urban design with 3 and 2 bedroom dwellings located on 82m² and 60m² land allotments. Referred to as a ‘micro urban village’, the development is attractive to young families and first home buyers as it provides freehold allotments (although tiny) in the middle of a fast growing metropolitan area that can provide all services at your doorstep. We have seen similar residential development on small lots (280m²) involving terrace housing on Sunshine Cove, Maroochydore, which has proven to be an attractive housing option for buyers. Could the ‘micro urban village’ style of development proposed in Southport be implemented successfully on the Sunshine Coast? THREE- bedroom family homes for less than $500,000 are about to apear in the heart of Southport CBD. 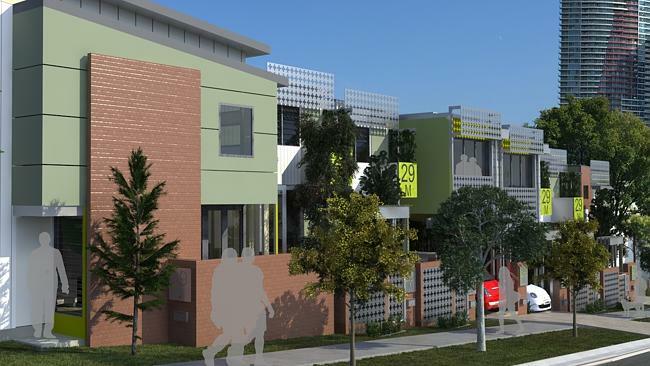 The $3.5 million "micro village" development, on the corner of Meron and Lenneberg streets, will offer young families entry into the real estate market- if they are willing to squeeze into tiny houses on 82 sqm blocks. The project, named Envi, will also feature on and two- bedroom houses on 60sq m for as little as $300,000.